When I bought the bus the Navigation DVD was in the drive and it was just a bit annoying the way Navigation automatically started when the key was turned. Not only is the disc from 2003 but it only covers Japan. Everything is in Japanese and only of any use if you’re driving in Japan, which I’m not. The disc has been in the glove box for the last six months. I just fancied popping the disc in today and have a bit of a play. A red triangle appeared just off the coast of somewhere in Japan but I haven’t got a clue which part of the country it was thanks to the Japanese labels. It did rotate as I drove though. So that’s not very interesting. Wait…I just saw a route finish marker across the map, and further in the distance another marker that could be Home or Start. Could these be set for the last trip the bus made before leaving Japan? Maybe it’s when it travelled to Nagoya to the auction? When I got home I loaded up Google Maps on my phone and worked out how to move the map around on the Navigation screen. 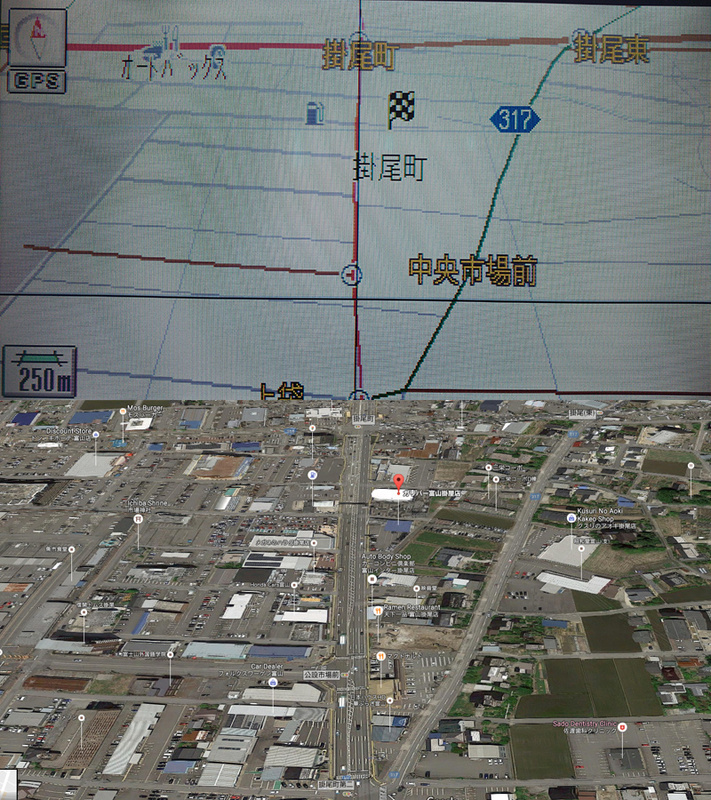 Rotating the map to North I realised that both Start and Finish were in Toyama Prefecture. 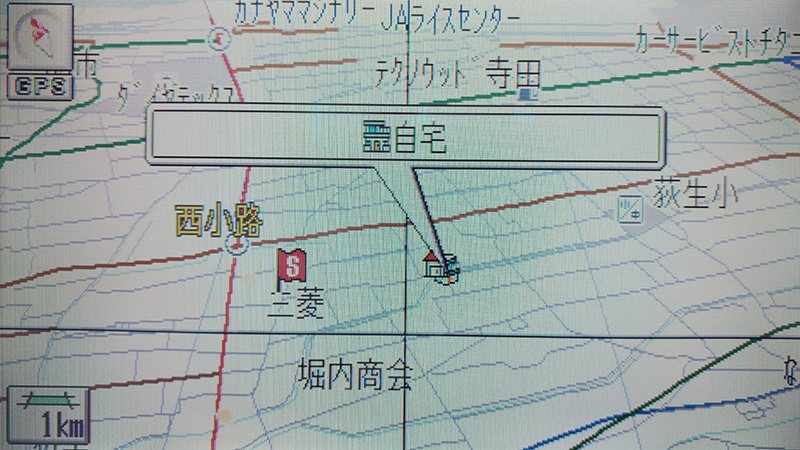 I knew from the bus’s Japanese registration plates that it was registered in Toyama. I wondered then if this was the owner’s last trip in it, maybe to go and pick up a nice new motor the Elgrand would be taken in part exchange for? So many questions! 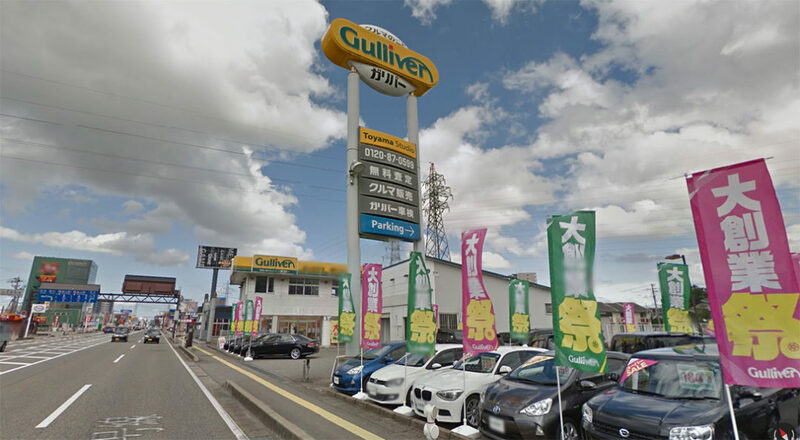 Zooming in on the Finish marker showed that the destination was a car dealership called ‘Gulliver’, just off the Etchu-Higashi Highway. You can have a look around the place here. What about the other markers? I guess that ‘S’ is the start of the route and not far away is the ‘Home’ marker. 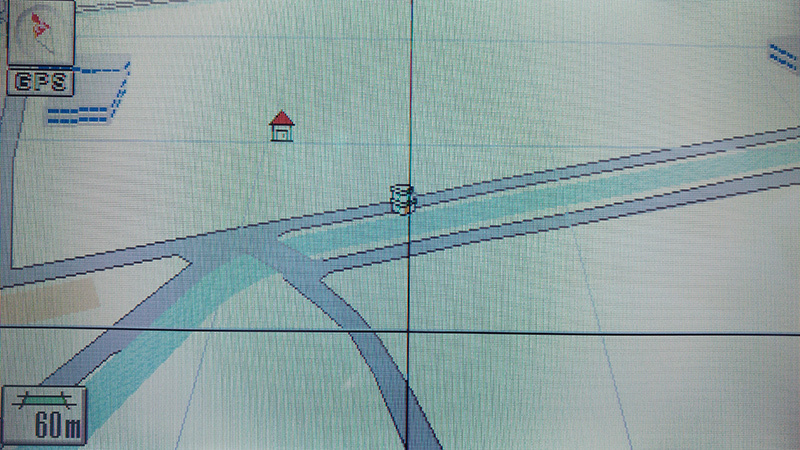 The map from 2003 doesn’t show a row of houses adjacent to the markers. 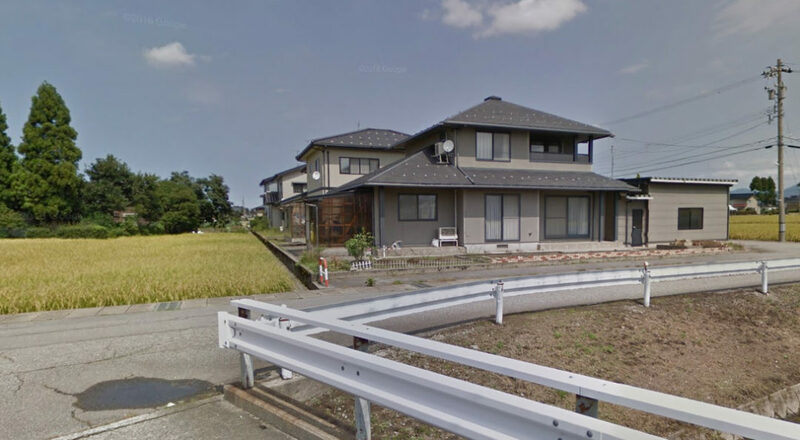 Google Maps shows that the end house is closest to the marker that looks like a building. I’d think this is most likely to be the previous owner’s house. 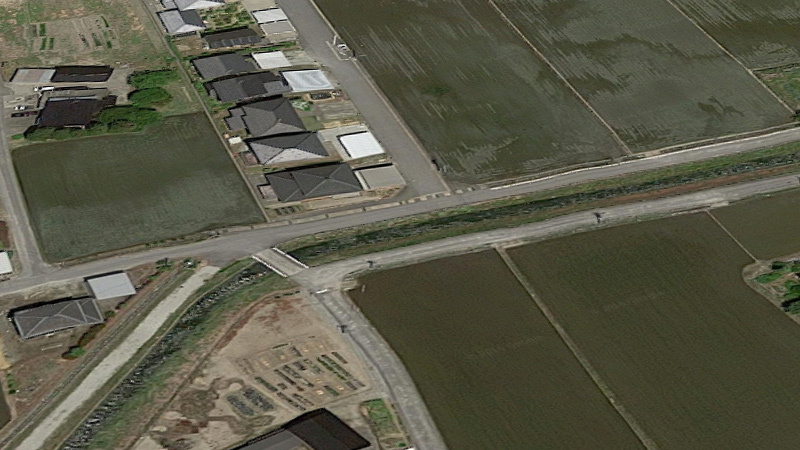 Google map’s imagery for this area is from 2014 at the time of writing this and it’s a shame the Elgrand can’t been seen in the surrounding area.